With Josh Ritter, Inland Northwest music fans continue to watch their native son's star rise. Moscow native Josh Ritter’s eighth studio album Sermon on the Rocks hit Friday and already outlets like NPR and Salon are freaking out. 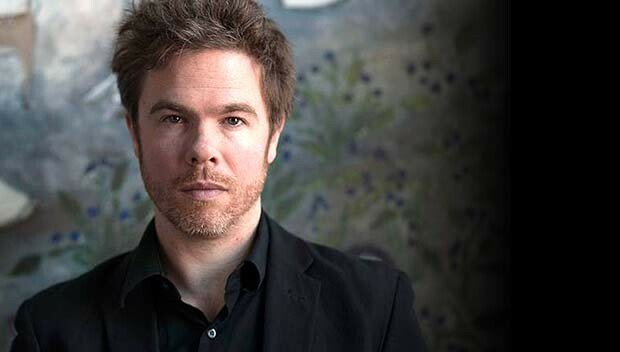 The Huffington Post proclaimed: “If 'Rock For Grown-Ups' Existed, Josh Ritter's Sermon On The Rocks Would Be the Album of the Year” Of course, all the way back in 2006 Paste named him one of the 100 Best Living Songwriters. And the new record is full of all the endearing songwriting — or oracular rock 'n' roll, as he's coined the kind of word-heavy music he makes — you've come to expect from Ritter. The songs are heavy in biblical references, but tell stories of love and coming of age. The album, which was recorded in New Orleans, is available in cool blue vinyl, as well as CD. As of right now, Ritter’s upcoming tour won’t roll through the Inland Northwest, the closest shows are in Seattle and Portland. Hopefully, he’ll add more dates soon. Ritter was last in Spokane March 2013. What’s next for the guy? Apparently making a record of cowboy songs with Bob Weir from the Grateful Dead. "I’m just writing songs. I sort of sit and giggle away, and then play them and introduce them to him," Ritter recently told Salon. "And it’s going awesome. We’re having a great time. It’s such a cool thing to write songs with another person in mind. Especially with him. He’s such a lion." Finally, here’s the super cool official music video for the album's lead single “Getting Ready to Get Down.” It’s a dance created by a line-dancing instructor in Idaho. You can learn in your own living room right now!